If you see a spot in your dog’s or cat’s eye, don’t assume it’s not serious. It could be a malignant cancer, as this reader discovered with her own dog. Q: I noticed a black dot near the pupil of my dog’s eye, which grew quickly. I took him to the veterinarian, and it was diagnosed as a malignant melanoma. He’s scheduled for laser surgery to destroy the tumor. What can you tell me about this condition? A: Your dog is lucky to have such an observant owner! We usually think of melanoma as a skin cancer, but it’s a tumor that originates in pigment-producing cells, so the iris of the eye — the colored circle surrounding the pupil — is one of the areas at risk. Signs include darkening of the color of the iris, a change in shape of the pupil or a raised area on the iris. These types of melanomas are usually benign and rarely metastasize, or spread, to other areas of the body. They can, however, continue to grow, leading to such problems as retinal detachment, formation of cataracts and glaucoma, so it’s important to treat them. 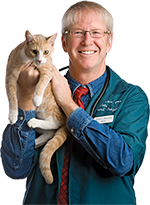 Your veterinarian may recognize an ocular melanoma at first glance, but the specialized equipment of a veterinary ophthalmologist is necessary to determine how far advanced it is. When ocular melanomas are malignant but caught early, as in your dog’s case, they are typically highly treatable with non-invasive laser treatment. Your dog is unlikely to lose any vision. For larger such melanomas, laser treatment can shrink the tumor or slow its growth, but dogs may also need surgical removal of the tumor or even removal of the eye itself. Cat owners, your pets are at risk, too — and more so than dogs. 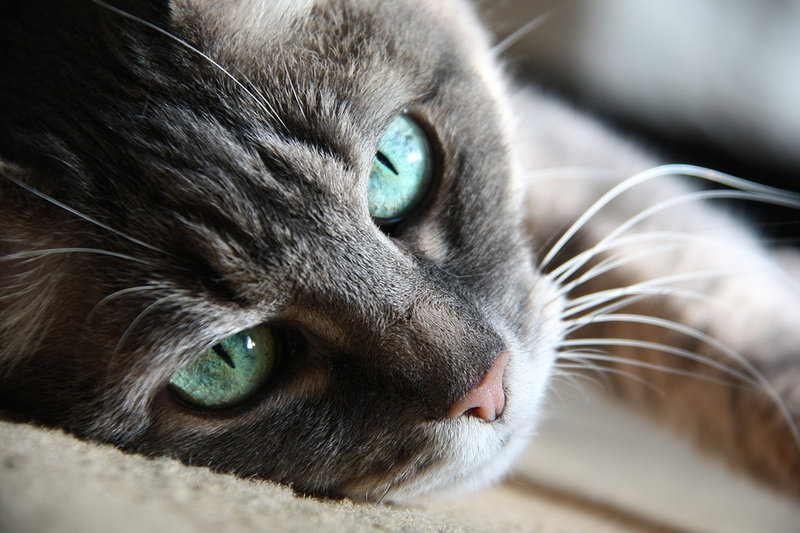 Feline ocular melanomas are more likely to spread to other areas of the body. Any time you notice a change in color or appearance of your pet’s eyes, bring it to your veterinarian’s attention.